The single source of getting information about any company whether it is the past or present performance or for that matter, the future outlook, detailed financial performance through the financial statements, corporate governance or CSR activities, all is compiled in the Annual Report of the company. It helps in assessing the year’s operations and provides the company’s view of the upcoming year and future prospects. It is a report that each company must provide to its shareholders’ at the end of the financial year, rather it is a report that every investor must read. It is the most comprehensive means of communication between a company and its stakeholders, rightly called the pinnacle of corporate communications. The major components of the annual report mirrors the psyche of the company, giving a fair idea on the sustainability of business and how sound the business is. Letter from the Chairman:This part of the annual report mainly tells you how the company has performed during the year. It’s a place to find apologies and reasons if the performance doesn’t meet the expectations. The goals and strategies for the future are also laid down by the leading hands in this section of the annual report. Ten-year financial summary:Assuming that a company is at least ten years old, many annual reports contain a snapshot of the financial results over that period of time. This helps in seeing the growth / de-growth trend of revenues and profits and other leading indicators of a company’s financial success. List of directors and other officers: All the data regarding the leading managers like the president, chief executive officer (CEO), vice presidents, chief financial officer (CFO) is provided here. Also, information pertaining to the other seniors who may not be a part of the organization, but are present on the board of the company, to help and guide the organization is available in this section of the annual report. Management discussion and analysis (MD&A):This is the place where the company’s management has the opportunity to present a discussion on the significant financial trends within the company over the past couple of years. It also includes data on the industry of which the company is a part of. Reading between the lines gives all the hints that the management is trying to indicate regarding where the company is and where is it expected to be. It also contains a brief SWOT analysis (strength, weakness, opportunity and threat) and highlights the business strategy that the management intends to follow for the coming fiscal. Directors report: The director’s report comprises of all the key events that happened during the reporting period. It contains all the information like summary of financials, operational performance analysis, details of new ventures, partnerships and businesses, performance of subsidiaries, details of change in share capital and details of dividends. In short, it provides a recap of the fiscal year under consideration. Corporate information: Subsidiaries, brands, addresses: This section has all the information regarding company locations (domestic and foreign), contact information, as well as brand names and product lines. General shareholders’ information and corporate governance: The report on corporate governance covers all the aspects that are essential to the shareholder of a company and are not a part of the daily operations of the company. It provides all the details regarding the directors and management of the company, for e.g. their background and remuneration. It also provides data regarding board meetings as to how many directors attended how many meetings. It also provides general shareholder information such as correspondence details, details of annual general meetings, dividend payment details, stock performance (stock history, stock price trends, listing stock exchanges), details of registrar and transfer agents and the shareholding pattern. 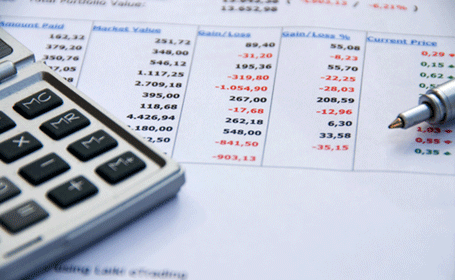 Financial statements and schedules: This section includes the financial performance data of the company. It provides details regarding the operational performance and financial strength of a company during the reporting period through the income statement, balance sheet and cash flow statement. The footnotes are equally important as they provide information about the organization’s structure and financial status that has not been covered anywhere else in the report. For example: information on management reorganization or details on bad debts that was written off by the company. Further, the schedules provide a detailed breakup of the individual components of the financial statements. a) Profit and Loss statement: It is the financial statement that summarizes the revenues, costs and expenses incurred during a specific period of time. It clearly indicates how much was earned and what went into getting those earnings. b) Balance Sheet: This provides the summary of the assets and liabilities of a company. It gives a fair idea of what the company owns and what it owes. c) Cash Flow: Cash Flow Statement is the accounting statement that provides the details of how much cash is generated and used by the company over a specific period of time. Although one would have all the information about a company readily available, there are certain things to keep in mind while browsing an annual report. One should have the skill to read the annual report to the extent that one can pick the hints that the company provides regarding future growth or disasters expected. These are indicated in the Chairman speech, MD&A or the sales and marketing section if any. Review the company’s financial statements and look for trends in profitability, growth, sustainability and dividends. Footnotes and schedules are to be carefully read for complete understanding of the financial statements. Carefully read the letter of Auditor opinion to be sure that the financial statements are an accurate representation of the company’s financial reality. An annual report provides information on the company’s fiscal year. The financial information provided in the annual reports helps determine the current status of business, how the company is funding operations and growth, and how good the company is placed at making money for its investors. Annual report is considered as the main accountability mechanism. Accountability is a pre-requisite, as it gives an idea of how far the company has met its responsibilities towards its owners, and fulfilled the role defined, which through the financial reports should reflect the extent of performance that are related to the entity. The objective of reporting the financial statements’ is to inform about the performance of the company that could be helpful to a wide range of potential users for evaluating and making economic decisions. 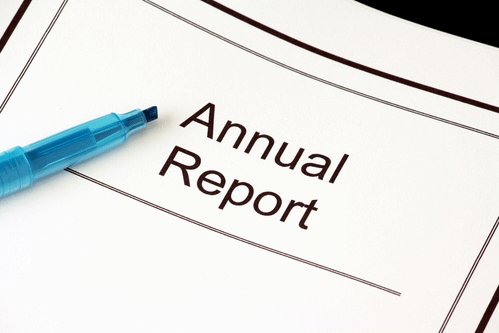 In addition to providing financial information, an annual report serves as a marketing tool for the company. Inclusion of positive feedbacks from employees and customers or key developments in the company worth highlighting can increase the readership of the report and appeal to new investors and customers. Annual reports provide information on the company’s mission and history and summarizes the company’s achievements in the past year. The achievement section also includes information on aspects like sales increases and factors related to growth in profitability and productivity. This serves the purpose of making the shareholders and stakeholders feel good about their investments or participation in the company. Current shareholders and potential investors are the primary audiences for annual reports. By and large it is also required by lenders, banks and potential employees for taking appropriate financially viable decisions. Although the annual report serves as a communication tool and determines the reality of the organization in the public mind, it depends on the quality of information provided in the annual reports. That is why, it is important to filter the annual report for the information provided and gauge its relevance before taking any investment decisions.